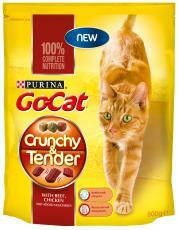 Buy Friskies Go-Cat food , with fast delivery and low prices. 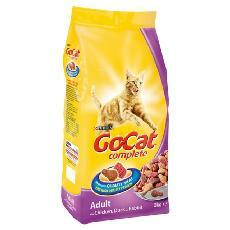 After around 12 months your little kitten has grown into a happy, lively adult cat, bursting with life and energy. Right now your cat can be fed with Friskies Go-Cat Adult products, a broad range of dry foods that offer a 100% complete, balanced diet, with a great taste, too! Here you'll learn how to serve deliciously good wet foods and discover the health benefits of dry foods. 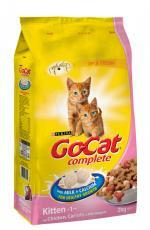 The foods shown below are kept in stock but we can offer the full range of Go Cat foods for you all at discounted prices, please call for details.